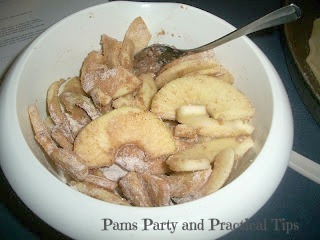 This is one of my all time favorite apple recipes. 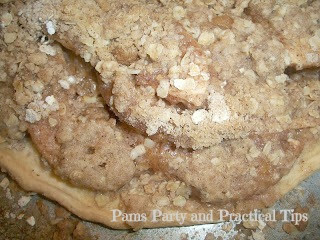 I saw it many years ago in a Taste of Home magazine and I have made it numerous times over the years, and even changed the recipe a little bit. 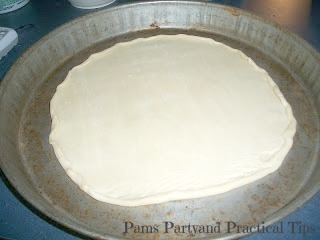 For the crust of your pizza, it is just fine to use refrigerated pie crust. You could probably make your own, but it tastes just a good with pre-made crust. Roll out in a 12 inch pan. I do not have a 12 inch pan, so I just used one of our pizza pans. You will need to use 3-4 medium size apples. I used for this time, and I actually had a bit more than I needed. 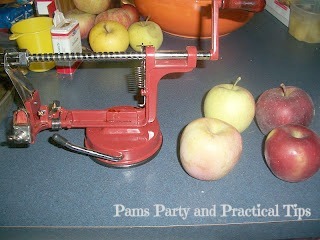 I love my using my inexpensive apple/peeler/corer. It only really comes out this time of year, but makes cooking with apples, oh so simple. Peel and slice your apples. 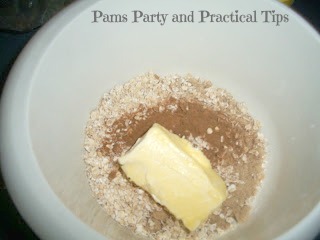 Mix the dry ingredients and then cover your apples in the sugar mixture. 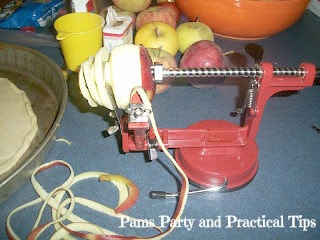 Lay the apples in a single layer in a circular fashion. I had to many apples for a single layer, but that's okay. It just means more sweet apple goodness. 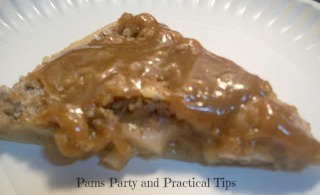 Immediately drizzle with caramel topping or dip. 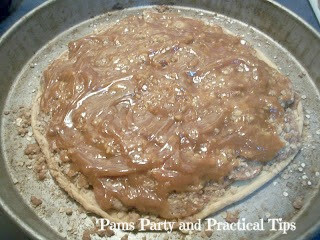 Instead of drizzling, I smothered on the caramel. Yum!! omg. this i have to try. for me, fall is all about the apples! Cool! Like a free-form apple pie! This look so good, and I LOVE your apple machine. I keep meaning to get me one, but I just havent yet. 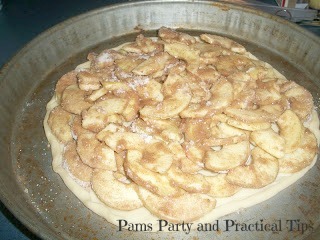 I really really need to though as much as I like apple recipes! 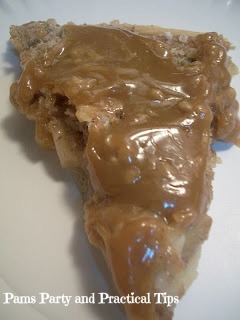 If you have a chance, I would love it if you shared this and anything else you may have at Makin' You Crave Monday over at MrsHappyHomemaker.com! Oh my! How unique and it looks so yummy. Totally delicious. Pinning as well!! !